The Eastern Partnership will engage with the wider community to identify issues and opportunities, and advise State Government on the priorities for this region. The Partnership held its second annual Assembly on 13 June 2018 at Boronia K-12 College, where it heard directly from the community about how to further progress priorities for the region. Watch the video below to see the 2018 Assembly in action, or read the 2018 Eastern Assembly Summary Report. What we heard from young people in the Eastern region? In May 2018, young people from the east shared their ideas for maintaining and improving the livability of their community at the first Metropolitan Partnerships Youth Forum. Students and young people 15-19 years of age from schools and youth organisations across each of Melbourne's six regions were invited to attend the Metropolitan Partnerships Youth Forum at the State Library of Victoria. To find out what participants had to say about what's important as a young person living, working and studying in Melbourne read the 2018 Metropolitan Partnerships Youth Forum report and watch some of the highlights from the eastern breakout discussions. On 31 August 2017, 144 community members, businesses, councillors and mayors came together to help determine the key priorities for the Eastern Metro Region. The outcomes of the Assembly have been used by the Partnership to inform advice to government on priorities for Melbourne's Eastern Region. Melbourne’s Eastern Metropolitan Region spans middle ring suburban neighbourhoods of Oakleigh, Box Hill and Doncaster to the mountain-ash forests of the Dandenong Ranges and the vineyards of the Yarra Valley in the far north east. The Region is also home to many well established suburbs such as Ringwood, Knox and Boronia, characterised by the transition between the built and natural environments. 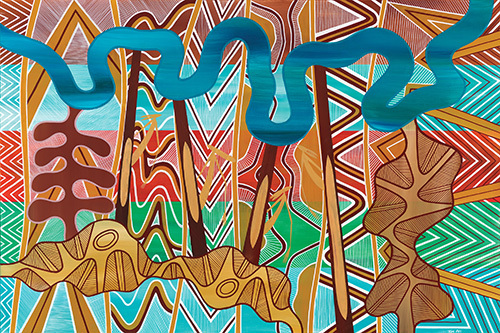 Melbourne’s Eastern Metropolitan Region is the traditional home of the Wurundjeri people of the Kulin Nation. Read more about the Eastern Region. The Partnerships are generally made up of 15 members from across each of the six metropolitan regions. Membership includes eight community and business representatives with varied backgrounds, experiences and networks, the CEO of each of local government in that region, a Deputy Secretary from the Victorian State Government, and a representative from the Commonwealth Government.Tammi Rose commenced as CEO Yarra Ranges Council in February 2019. Her previous role was Director Corporate Services at the City of Hobson’s Bay. She has held a range of senior roles in both inner metropolitan and rural councils, and more than 18 years experience leading teams and driving innovation. She holds a Masters in organisational development and professional qualifications as an accountant (CPA).